LET US UNITE IN THE ANTI-IMPERIALIST FRONT AGAINST THE ATTACK OF IMPERIALISM AND FASCISM AIMED AT BRINGING ABOUT ISOLATION, DESTRUCTION AND SURRENDER! On June 1-2, an Anti-Imperialist Front meeting was held in Athens, for solidarity with the People’s Front. It was decided to hold the 9th Eyüp Baş Symposium for Unity of the Peoples Against Imperialist Aggression in Turkey. We are organising the Symposium in Istanbul on 8-9 September. Imperialism wants to leave the peoples of Turkey and the world despairing and without hope! We will not let imperialism enjoy this victory. Imperialism has the IMF, the World Bank, the EU, the G8, and we have the Anti-Imperialist Front! Imperialism has overcome the majority of the national and social liberation struggles in the world an got them to surrender. Now it wants to take over our minds. They want the people to think that “imperialism cannot be resisted, cannot be struggled against, revolution cannot be achieved”. They want to make the peoples feel despair and hopelessness. Imperialism is attacking peoples all over the world. Israel is attacking Palestine without interruption, almost wanting to delete Palestine from the map, to make all Palestinian people around the world into refugees. This is happening before the eyes of the world, and nobody makes a sound. The people of Africa are facing harsh exploitation. Waves of racism are rising in Europe. Imperialism, in particular, is using the Syrians, who are forced to flee their country, as a pretext to introduce racist and reactionary legislation, undermining the right to asylum, which is the historical achievement of the people. We do not accept this imposition. We are upright, we are open, we say: against imperialism’s compromise, submission, liquidation policies WE ARE HERE! We are against despair, pessimism and fear! We have created a historic resistance in Turkey. We want to share our resistance with the peoples of the world, demonstrate how to resist resistance against fascism and give hope to the peoples of the world. We want to demonstrate that victory at all times CAN BE WON THROUGH RESISTANCE. With two years in Turkey under the name of “State of Emergency”, now the state of emergency is being continued with new anti-terror laws working towards open fascism, and our public workers, Free Prisoners, our people in the shantytowns, our prisoners in isolation conditions, our engineers and our architects, our lawyers, our disabled, those of us who are 70 years old, our grandparents, our nations, in every circumstance, all of us are resisting. During the OHAL period, 36 KHK decrees have been issued and 130,000 public sector workers suspended. There are 236,000 members of the trade union confederation KESK, which claims to be leftist; but among those suspended only the academician Nuriye Gülmen and the teacher Semih Özakça put up opposition at first. With the demand “I want my job back”, a sit-down action for human rights was started in Ankara/Yüksel. This wave of resistance spread, with great repercussions in all of Turkey. 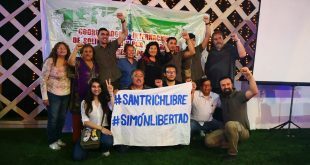 They were detained every day, and returned to the resistance area as soon as they were released. They were held captive, were on hunger strike for 324 days, released, now they continue to stand in Yüksel. Yüksel became the symbol of resistance, and the resistance is still continuing. Turkey’s largest trade union confederation DİSK has 141,000 members; but it does not do anything for its members. Only in the leadership of the Revolutionary Workers’ Movement are workers resisting, taking back their work. There are 550,000 members of TMMOB, which claims that it is a leftist, democratic engineering and architectural association; but only one member, the architect Alev Şahin, is resisting to get her job back. There are 96,000 lawyers registered at the Bar Association, but only HHB (People’s Law Bureau) lawyers are resisting. AKP fascism has arrested lawyers and has raided their offices. “Be the lawyers of the bosses, not the peoples, occupy yourselves with divorce cases and suchlike, otherwise I will arrest you”. 19 revolutionary lawyers continue to practice as lawyers in prison. Grup Yorum, a 30-year-old revolutionary music group, has been put on the terrorist list. Members are in jail or being searched for by the police. Despite this, Grup Yorum continues to make revolutionary art, and responds to fascist terror lists with new compositions and concerts. In prisons in Turkey there are close to 230,000 prisoners. Except for the prisoners of the Front, all (political) prisoners have been intimidated into silence. The prisoners of the Front, who define themselves as “free”, have been on general resistance for two years. They blow up the doors, they burn the cells. They continue to resist torture every day, despite the bans on visits and communication. Imperialism has not changed. Fascism has not changed. The only way for the liberation of the peoples is to resist, to fight. Struggle is difficult. A great price is demanded. But if we do not fight; the peoples will drown in hunger, poverty, unemployment and corruption, and drift into misery and depression. For this reason, the struggle is also vitally necessary. 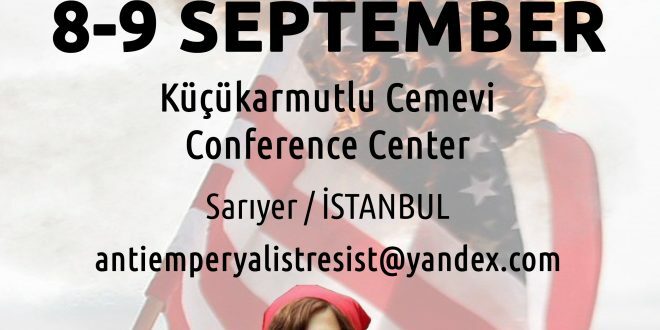 In our resistance against fascism, we look forward to welcoming you, our friends, in Istanbul on 8, 9 and 10 September. We will be the stronger with your coming and your participation. LET US UNITE IN THE INTERNATIONALIST FRONT AGAINST IMPERIALISM, THE COMMON ENEMY OF THE PEOPLES!